 The ultimate BBQ 5-in-1 multi tool companion for the home or outdoors. 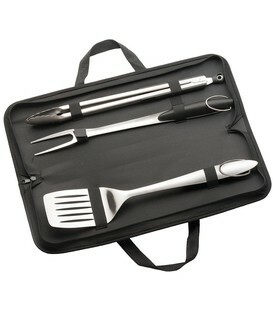 Featuring stainless steel grill spatula, meat fork and silicone basting brush swing out from the handle. 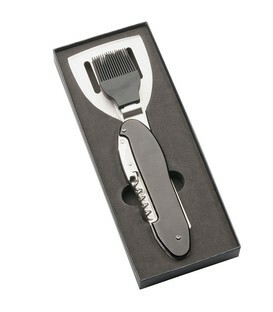 Other side of handle offers corkscrew, wine lever plus an integrated bottle opener. 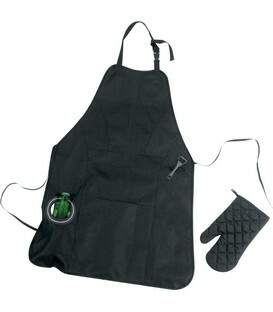 Includes an apron, detachable bottle opener, padded oven mitt, accessory front pocket, beverage holder pocket to rest a can or bottle for the thirsty master chefs. 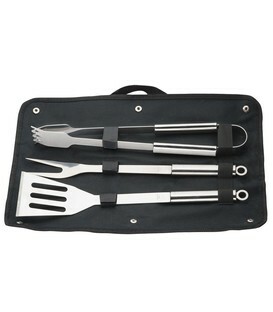 Stainless steel BBQ utensils with rubber grip handles for easy use. 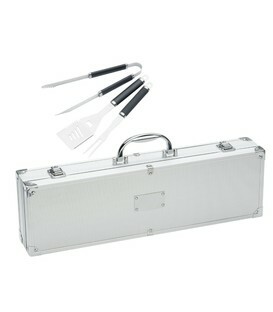 The aluminium case is supplied with a metal badge suitable for decorating.